Sometimes it seems that people know common things about hair care well. But this question is always very individual. There are indications for which you need to wash your hair more or less often, for example, if a person plays sports, you can wash your head daily and even several times a day. Contrary to beliefs, it does not affect the quality of the hair and certainly not on the skin of the head. The essence of the question is what means you need to choose. Shampoo is chosen for the scalp almost always, and balms, conditioners, masks on the structure and quality of hair. This is the first thing that everyone should remember when choosing a shampoo. Naturally, the ideal pre-consult professional who you trust. Care products must be purchased in places where quality products are sold. If you wash your hair daily, you need to choose a shampoo designed for daily use. These are in all lines. There are also balms, conditioners for daily use. They are sprayed or creamy. What is the difference of such daily remedies from the usual? That concentration of the looking after and clearing means is less, than in usual. They are created in order to very carefully clean the scalp and hair, not irritating them, and at the same time, not over-saturating them with additional nutrition, moisturizing, restoring, etc. How To Care For Greasy Hair? For such hair there are two types of shampoos that are most often used – cleansing and balancing, which regulates the work of the sebaceous and sweat glands. Cleansing shampoos are used every 10-14 days, they are created to clean the scalp and hair well from the accumulation of styling products, the environment and from the work of the sebaceous and sweat glands. And regulating shampoos for oily scalp and hair can be used as often as necessary. They are aimed at reducing the intensity of pollution of the head and hair. It is also good for oily and greasy hair to use shampoos for volume, for the summer you can moisturize, they will not be fat. Perfectly fit detox shampoos. What Should Be Care For Dry Hair? You can use and moisturizing, and nutrition, and restoration, shampoos for dyed hair. They will nourish and care for the scalp very well. What is interesting, detox shampoos will also work – they clean the oily hair well and dry nourish it. 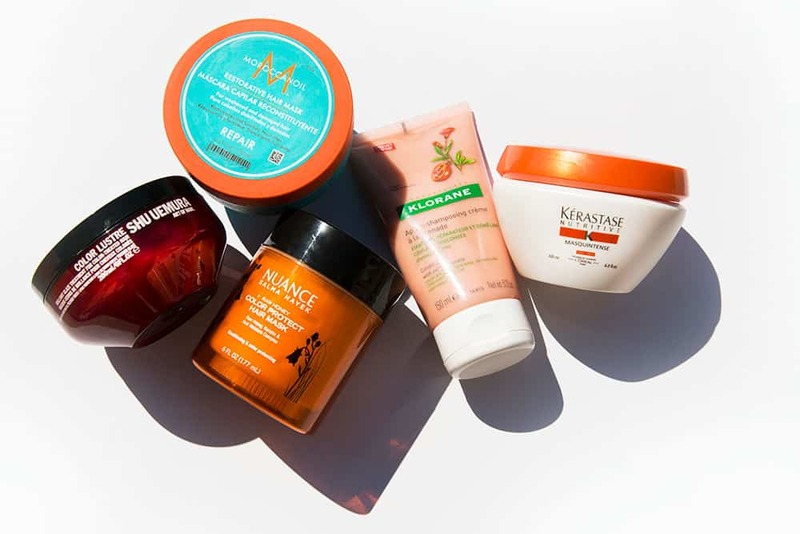 How To Choose A Mask And Conditioner? As I said, they are selected according to the structure and type of hair. It is not without reason that I noted that it is precisely according to the structure of the hair, because, besides that, the hair has different degrees of sensitivity (roulette, dyed, tinted, streaked, bleached, etc. ), the hair has a different structure. I emphasize this because curly hair and wavy hair are naturally prone to dryness. The more intense the curl, the drier the hair. This is due to the location of scales. If on straight hair they are located straight, then on curly hair they are rounded and porosity occurs. I recommend using cosmetics for a dry or special line for curly hair. They work great, restoring curl or smoothing it. How To Use Masks And Hair Conditioners? Conditioner or balm should be used after each wash, no matter how you think your hair feels so good. I am skeptical of “two in one” type shampoos, unless you need to wash your hair quickly, or you are on a journey not to drag a bunch of jars with you, but this does not concern the issue of sun and sea. Conditioner, the balm is used every time after washing, preferably on towel-dried hair, or at least it is worth squeezing them out. Balsams and masks are not applied to the scalp, they are created for the hair if there is no special prescription on the label itself. Departing 3-5 centimeters from the roots, apply to the hair. We maintain the right time indicated on the product. Most girls love to hold the tool a little longer. This is as bad as doing nothing at all. Excessive exposure of hair care products gives them the opportunity to grow fat faster, as a rule they grow dull and their overall appearance worsens. Masks are applied once a week, not more often. Again, if there is no indication from the manufacturer that it can be used several times. Apply on towel-dried hair, retreating from the root. It is advisable to place the hair in heat. This may be a regular film or a towel dipped in boiling water, so the mask will penetrate deeper. A mask is used outside the air conditioner or balm. There are options in which a rinse-free conditioner is used after the mask, as a rule, this is for dry, porous and unruly hair. It closes the scales, promotes combing, makes hair shiny. Therefore, when we use air conditioning, we do not use a mask, when we use a mask we do not apply air conditioning, at least one that is washed off. Girls often put a mask on wet hair. Apply the cream to wet hands – it will roll and not be absorbed, just like with hair. Yes, then the hair is easy to comb, but the mask only worked from above, and did not produce the proper effect for which it was created. Masks with a high content of oils are applied before washing, and then washed twice with shampoo. How Often Do I Need To Change Cosmetics For Hair Care? It is necessary to complete the course with the use of some products, and proceed to the other. It is not necessary to change cosmetics drastically. You can choose among the range of one company. It is important to know if you switch to natural cosmetics, after cosmetics with artificially created ingredients, you need to do such a procedure as cleansing the scalp and hair. So hair and skin will be able to take something new and natural from cosmetics, for which you paid money. How To Clean The Scalp? In my opinion, customers almost never pay attention to cleansing the scalp. For example, we began to produce cosmetics “Yuri Tsarev” due to cleansing of the scalp. Once every two weeks, the cleansing procedure is done or once a month, but not less. I am opposed to using fine scrubs for hands or body on the head. Scrubs should be designed specifically for the scalp. Hair will be more voluminous and less fat, and hair quality will noticeably improve in just a month or two. Any scrub works well with the problem of hair loss, of course, not as specialized means. Scrub improves blood flow to the bulbs, and cleansing promotes better access to oxygen. Should Indelible Means Be Used? Everything is good to use when necessary. Rinse-free products protect hair from washing to washing, some also have a fixing component. I am for indelible means, especially for the tips of the hair. For example, oils that are now in such a variety that they are suitable for even the thinnest hair. Oils protect hair from exposure and the sun, the hair is less split. Choose “your” oil under the hair structure. If you are more than 3 hours under the sun, you can re-apply it. Do not forget that during the winter period, temperature drops also have a negative effect on the hair, so indelible means should not be ignored. What Is The Feature Of Hair Care In The Summer? At sea, you need a summer line. Many people think, why shampoo with SPF, you can only use a balm or conditioner. Shampoos from the solar line are created to thoroughly clean the salt and chlorinated water, which can not cope with the usual shampoo. Even in the city you need to use the same shampoo. The spray that you put on your hair while staying on the beach is a must. There is a mask-conditioner, two in one, its functions can be combined, depending on the exposure time. Only three products and your hair will look perfect, the fourth product I would recommend to use oil. How Effective Is Hair Treatment In The Salon? Horny layer can be restored in case of damage. Modern hair products have come to space technology, which helps to restore even the most “dead” hair. Naturally, if the hair fell out, there is nothing you can do. But cosmetic restoration exists, exaggeratedly called treatment. Restoration of the quality and structure of the hair will be a more competent name for this process. What Should Be The Tools For Home Care? I’ll start with the irons. I would ban in general to have them at home for girls who wish to maintain the quality of their hair You can iron the hair with the help of hairbrushes, naturally, they will not be perfectly even. If you are already using, be sure to dry your hair completely, apply thermal protection, use care after styling. Externally, you can not observe damage to the hair structure from the iron, although inside they are very reliable. I recommend to do laying with the help of an iron no more than 1-2 times a month, as well as heat wrap. I have seen the pitiable results of frequent styling of this kind. Hair just fall away. As for the comb. For metal combs, which most often make styling, the hair must also be completely dried, so as not to “cook” under the influence of heated metal. Use bristle combs interspersed with metal or plastic. I welcome massage combs, they can be well styled. With proper hair care, removing excess styling products, lacquer can not have a negative impact on the quality of hair. Lucky exist with different degrees of fixation for different hair density. In general, modern styling products of any self-respecting company contain thermal protection and care products. The degree of their fixation decreased, and the quality of fixation improved. It is possible to find in organic cosmetics means for laying completely natural and without alcohols. To dye your hair or not? We have been trying to explain to customers for years that the shade for the hair is not just not a harmful procedure – it is useful. Now there are zero shades, that is, transparent. I am in no way trying to challenge the pride of girls who say that they have natural hair, I am happy when a girl is happy. Natural hair after a hair dryer, the sun can hardly be called natural, because the color, given by nature, remains only at the roots. Care for natural hair will not be less than for dyed. The pigment that lost your hair, shade it returns. Hair becomes denser and their quality is better. Modern dyes can restore shade and hair at the same time. For example, girls with light brown hair often worry that their hair will lose its cold tint. But after burnout, the shade “warms up”, and I can add a cold that will return the natural color and improve the appearance. The paint covers the scales, envelops the hair, and they shine. To the mask once a week, add a mask with a regenerating pigment once a month. This is the solution for those whose hair at the root is fat, and the ends look porous.